The release of an economic impact report on cruise shipping reinforces the ARC and my own personal belief that cruise ship tourism has huge potential positive benefits for Auckland. The report, produced by ‘Market Economics’ for the Ministry of Economic Development, Cruise New Zealand and Tourism New Zealand, reveals that cruise shipping is expected to inject $346m into the NZ economy during the 2011/12 season. The study also points out that each passenger that travels to NZ on a ship injects around $1700 into the country’s economy. 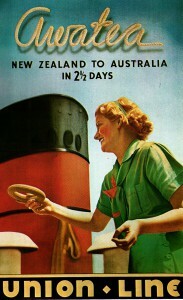 It was this belief in the signficant potential economic benefits of cruise shipping which persuaded the ARC to embark on the long and difficult process of getting Ports of Auckland to remove the cars and bananas from Queens Wharf – to open it up to the public and to enable construction of a purpose-built cruise ship terminal. After architectural designs for a new cruise ship terminal singularly failed to impress Aucklanders and after calls from the public and the NZ Historic Places Trust to save Shed 10, it made sense to us to rebuild and refurbish Shed 10 as a modern cruise ship terminal – using the internal functional components of the winning Jasmax-Architectus design. This would mean that the run down and quite dilapidated building could be restored into something quite attractive and be ‘born again’ to continue its working career in the maritime industry – appreciated by the public for its heritage value and for its maritime authenticity. Perhaps because of the current political silly season around the Super City elections unfortunately less thoughtful, would-be politicians like Alex Swney have put it about that a cruise ship terminal on Queens Wharf would automatically mean exclusion of the public. Nothing could be further from the truth. 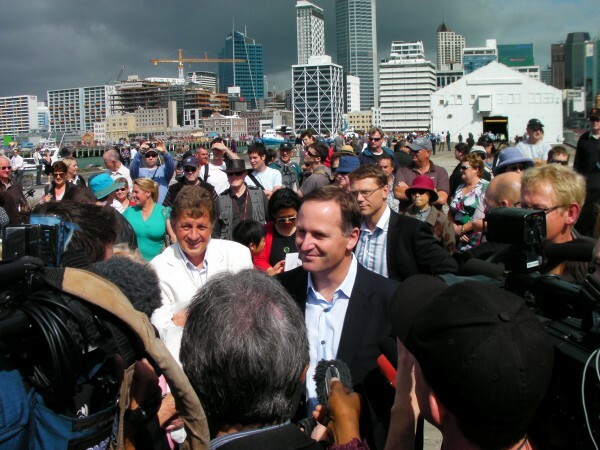 Our whole motivation in buying Queens Wharf was to open the red gates and let the public get up close to ships again. Just as we have regional parks which enable people to get close to nature – for instance to see and hear endangered native birds eg Tawharanui Open Sanctuary; Hunua kokako protection area; Waitakere Ranges (‘Ark in the Park’) and the soon to be established Shakespear Open Sanctuary, we also have regional parks where people can go to enjoy flowers and plants (Botanic Gardens) and even get up close to NRL Rugby League action (Mt Smart Stadium regional park) – so in Queens Wharf we have in effect a 3 hectare harbourside regional park with nearly a kilometre of harbour edge where people can commune with the sea and get up close to ships. While this would-be politician and supposed business leader doesnt seem to get this – ordinary Aucklanders certainly do. In the last 6 weeks despite poor weather and it being the cruise off-season, thousands of Aucklanders have streamed onto Queens Wharf to visit (in August) the Korean Navy training squadron – and just three weeks ago 20,000!!! Aucklanders (mainly Chinese) over three days visited the Chinese Navy ships. Once a cruise ship terminal is built on Queens Wharf it will be open for public use 365 days a year – with only certain customs restricted areas during the maximum 100 out of 365 days in which cruise ships would be alongside. It has been suggested (God knows why) that Captain Cook wharf would make a better site for a cruise ship terminal. Here are some reasons why this is not such a smart idea. 1) Captain Cook wharf is quite a bit smaller than Queens Wharf and because of its simply could not accomodate modern cruise ships. 2) Captain Cook wharf would have to be purchased from an unwilling Port Company which needs it for car carrier ship berthage and discharge. 3) Captain Cook wharf would then have to be extended in length at significant cost. 6) and finally Ports of Auckland in light of the non-use of Queens Wharf for cruise ships would be released from its legal commitments to maintain the under-wharf structure. So all in all, advocating Captain Cook Wharf over Queens Wharf for a cruise ship terminal is just not logical. We are after all meant to be investing in our waterfront not tipping money into the harbour! My interest in cruise shipping is possibly influenced by my background as a merchant navy officer but I have long believed that the supercession of commerical aviation over passenger shipping from the 1960s onwards may not be necessarily permanent. It is entirely conceivable that with future technical innovations, and concerns about green house gas emissions from commerical aviation, high speed passenger ships may once again compete with planes on for instance the Auckland to Sydney run. Another good reason for a decent passenger ship terminal on Queens Wharf. Hopefully once things settle down post Super City we can resume work to get this cruise ship facility built. A commissioned report released today shows that New Zealand’s holiday cruise market has emerged as a tourism and economic powerhouse, however it is at significant risk without an investment in cruise infrastructure, according to Cruise New Zealand. New Zealand’s cruise industry is expected to inject $346 million into the New Zealand economy during the 2011/2012 season, including providing 5,606 jobs. With an 82 percent increase on the 2009/2010 season, cruise passenger numbers are predicted to be around 200,000, pumping millions of new spend into the economy. Each passenger that travels on a ship to New Zealand injects around $1,700 into New Zealand’s economy. The report, commissioned by Cruise New Zealand, states that in spite of the global financial crisis, the cruise industry is recording strong growth. However there is an ongoing concern that port facilities, particularly in Auckland, will not sustain that growth. Craig Harris, chairman of Cruise New Zealand and chief executive of ISS-McKay in Auckland, says that the forecast for New Zealand’s cruise industry is huge. “However, without guaranteed investment in cruise infrastructure, particularly in Auckland where over $177.4 million is to be spent directly in the local economy, the potential for increased growth to continue is minimal,” said Mr Harris. The Auckland region and the Ports of Auckland are the most significant areas of passenger and crew exchanges and industry expenditure in New Zealand. With more and larger ships forecast to visit New Zealand in the coming years, Auckland’s Princes Wharf is no longer adequate. The industry’s key concern at present is for the decision of a centrally-based cruise terminal that will be future-proof for larger ships, said Mr Harris.Additional concerns include berth congestion, processing such a large volume of people and adequately transporting them around the region. This congestion with berthage and logistics will also become a problem for the other ports around New Zealand. “With passenger port days anticipated to break the one million mark for the 2011/2012 season it is imperative to the industry that appropriate cruise infrastructure is developed,” says Mr Harris. Cruise New Zealand is the advocacy body of New Zealand’s cruise sector, where its objectives include maintaining New Zealand’s capability as a cruise-friendly destination. For the 2009/2010 cruise season, 109,951 passengers visited New Zealand contributing over $191 million to New Zealand’s GDP. A new study on New Zealand’s cruise industry supports the need for a world-class, international cruise ship terminal on Auckland’s waterfront. 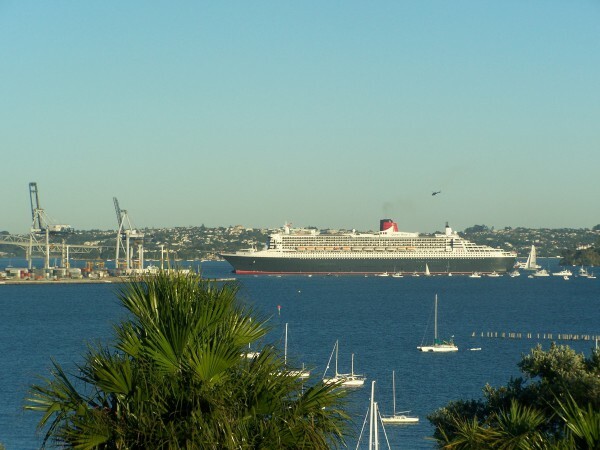 The New Zealand Cruise Industry Study prepared by Market Economics confirms that Auckland received over $163 million of total cruise industry direct expenditure during the 2009/10 cruise season. This is almost 60 per cent of national direct spend, and generated another $63 million through value-added services. “In a difficult economic climate, there is substantial opportunity for Auckland to benefit further from the cruise ship industry,” says Mike Lee, ARC Chairman. “The cruise industry has shown continued growth over the past 10 years. Our Australian neighbours are enjoying the cruise offer and Australia has quickly become the most important country for the cruise industry. During the 2010/11 season 87 cruise ships are expected, carrying 138,200 passengers and 56,400 crew. This equates to almost $305 million being injected into New Zealand’s economy and around $177 million into Auckland specifically. The bookings for the season commencing in 13 months time will see 199,900 passengers and 88,000 crew visiting Auckland. 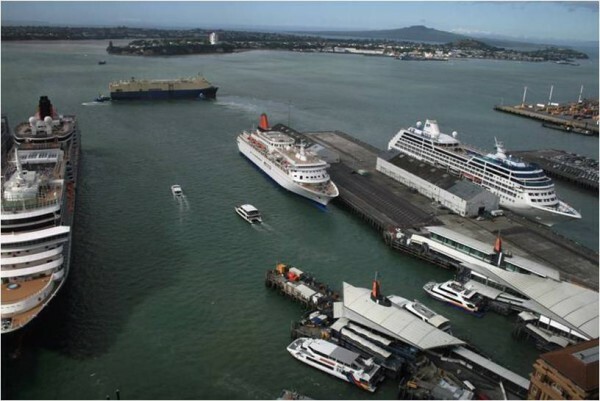 “Auckland clearly needs a new attractive fit-for-purpose international cruise ship terminal. Auckland has to take this opportunity seriously,” says Mr Lee. The study confirms that opportunity exists to capture more value added investment, for example New Zealand food and wine provisions for the visiting ships. However the report also states that a cruise terminal with greater integration is required to achieve greater economic benefit. “A new, purpose-built cruise terminal on Queens Wharf will boost both the region’s and New Zealand’s economies,” says Councillor Michael Barnett, ARC’s deputy chair. “Most of the capacity constraints relate to port-side activities and transport to and from the waterfront. We can overcome this by building a world-class terminal on Queens Wharf. The cruise industry has grown by an average of 14 percent each year since the 1996/97 cruise season. This entry was posted in Uncategorized and tagged Ports of Auckland. Bookmark the permalink. Well done Mike; we are very proud of your achievments over the years, & postulations for a prosperous future.